The kids are heading back to school and many parents see the possibility of enrolling their little ones in some martial art classes in Fort Lauderdale or some other extracurricular activity. Nowadays, there is a greater demand for martial arts seeking for develop personal, physical, social, competitive, self-defense, character building and self-confidence skills. Most kids have the desire and the fantasy to be equal to their favorite characters, having the same superpowers and characteristics as superheroes. 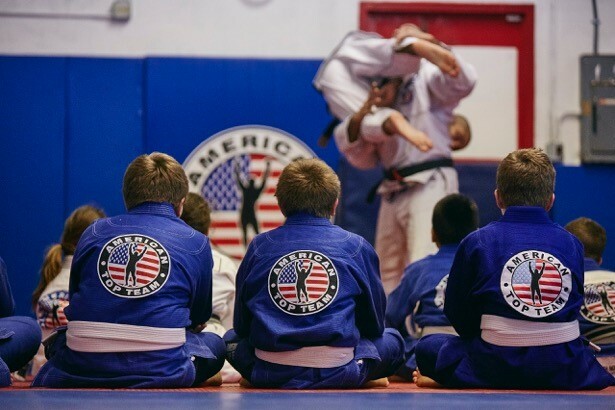 For whatever reason, we at American Top Team Fort Lauderdale put together some tips for parents, showing a little bit about each martial art and which areas will be developed in your child, emotionally, spiritually and physically. Back to School in Fort Lauderdale, besides the fact that martial arts help children channel their energies into something that will really make a difference on their lives, making them quieter and less quarrelsome, as some parents point out, we hear a lot of violence news every day. Martial arts can also ensure that children will know how to defend themselves in high-risk situations, as well as seek to retreat even before such situations can occur. It would be much more interesting and would have a much better impact on these children’s lives if they were in a martial art program. The skills these kids could be absorbing, the exercises they would be doing, the confidence they would build in martial art classes are priceless. The behavior learned with the masters can be taken to the child’s daily life. It is important to find instructors who have good preparation, who can teach positive values and encourage students against violence. That is why at American Top Team in Fort Lauderdale our Teachers/Coachs are very professional and recommended. Generally, parents go out to work and children are left alone at home. Enrolling your children in our programs they will interact and socialize with other people of their same ages and will learn a martial art that can might become even a future profession. Or just think about the aspect of self-defense, in which alone is already an incredible life change. It will be our pleasure having your Back to School children in Fort Lauderdale to train with us!